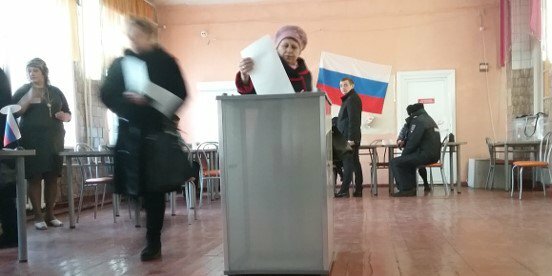 A Spanish diplomat and I joined nearly 600 other international observers, deployed all across Russia, for the March 18 presidential elections. The two of us flew several hours east overnight from Moscow, and then with a local driver and interpreter met voters and elections officials in frozen central Eurasia. Here’s some of what we saw.